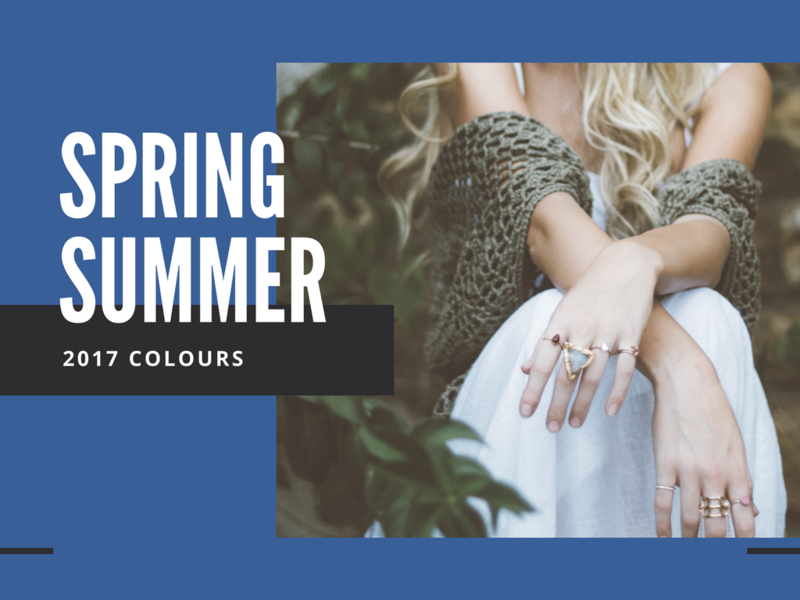 Today’s post is I’m looking at spring summer 2017 colours and how you can incorporate them into your wardrobe. Whether you’re going away for holidays or having a staycation. Panatone, the company who announces the colours, have given 10 colours for S/S 2017. They are primrose yellow, pale dogwood, hazelnut, island paradise, greenery, flame, pink yarrow, niagara, kale and lapis blue. I think it’s great that there are so many colours to choose from. There are different skin tones and I think there’s a shade for everyone. I’ve listed out different ways in which you can incorporate 3 of the colours into your wardrobe. I am so happy that yellow is on trend because I love yellow. After the long, dark and cold winter we’ve just had it’s nice to interject some sunshine into your wardrobe. When I think of the vibrancy of this shade, I always picture myself sipping cocktails in Bangkok. This vibrant shade of blue reminds me of Santorini and the Amalfi Coast. The good thing about this shade is that you can incorporate into your wardrobe in several ways. If you love the colour but find it overwhelming to wear it head to toe, then sprinkling the colour throughout your look can be fun. To me, this colour is a variation of khaki and olive green, which can be easily incorporated in a myriad of ways. I would say this is the new black for the warmer months. It can pretty much be paired with most colours, all dependent on the shade. To me, this is a very chic colour, so I feel I would wear this in New York City at a rooftop restaurant. I didn’t match exactly with the colours but got close enough with most of them. What do you think about the spring summer 2017 colours? Which colours will you incorporate into your wardrobe? Let me know in the comments below. As always, thank you for reading and don’t forget you can follow me on Bloglovin or subscribe to my newsletter below.